I feel like I was one of the few that actually enjoyed the second season of Aldnoah Zero a lot compared to the first. There's a lot of negative stigma attached towards the whole 24 episode-long anime; a lot of the stigma I understood/ get why harsh critics were turned off, but for the most part I felt as though the Aldnoah Zero was so bad that it was kind of... good. 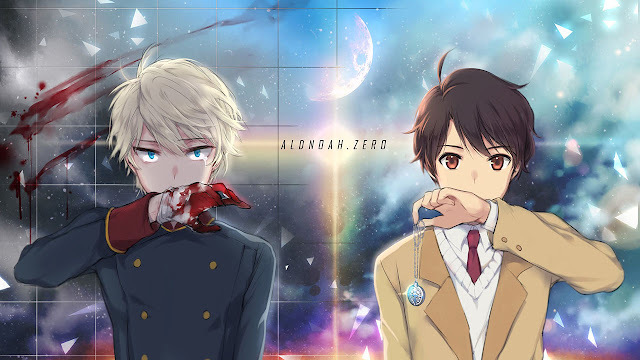 Originally I was planning to do a review for the second season of Aldnoah Zero since I've already written one for the first season, but since I kind of felt as though it would be a bit redundant to write a second review for the second season I decided not to write a review. So instead what I thought would be fun is that I would outline the five problems I had with the second season of Aldnoah Zero. Most of the issues that people drew criticism towards this anime, I feel, stem from the nitty-gritty or the bare obvious- or even a combination of both. 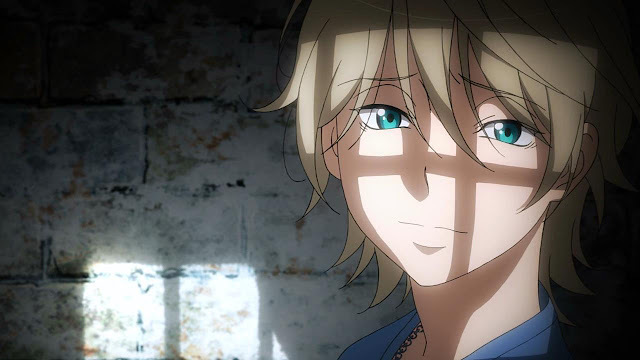 So in no particular order, please enjoy the five problems I had with the second season of Aldnoah Zero! Alright I'm going to call it out, don't people usually age to a certain extent (even a little) in the span to two years? If I remember correctly, the second season of Aldnoah Zero takes two years later where the first season ended. I mean no one, not even a single person aged a bit. I put a collage and side by side comparison between Princess Asseylum Vers Allusia from the first season on the left, and her two years later on the right- she doesn't even age one bit, in fact it looks like no one did from Aldnoah Zero. Right under I compared Rin Tohsaka from Fate Stay Night, which you can see a big difference in the two photos; photo on the left is her during the anime, photo on the right is her during the epilogue which was two years later. I mean any anime which has a time leap, generally the characters age to a certain degree, did Gen Urobuchi even think about this lol? Okay, this one isn't as big as an issue for me during the anime since there were other aspects that were more annoying, but dang... Now romance didn't play a big role in Aldnoah Zero but there was this coupling right at the end that was so unexpected it just made me go, "really? Those two?" Now I don't like adding characters by dropping them from the sky right into a story when it felt like most of the fundamental relationships have already been established/discussed. 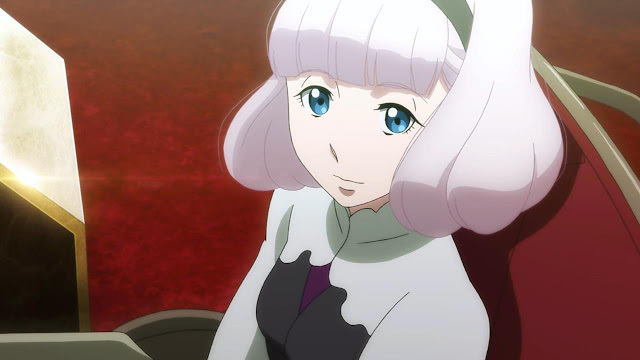 I'm not even going to mention this girl's relation since a few of you might not have seen Aldnoah Zero yet. But seriously, is it that hard to layout who's related to who in the first season instead of dumping characters and tying them into others right from the first episode of the second season? Like this girl really came out of no where lol. I mean come on... an anime based on war, and no discussions of politics or war prep is outlined in detail? The people of Mars and Earth were randomly fighting in space most of the time for no apparent reason I felt. Don't even want to go into detail but to put it into simpler words, there should have been a chronological order of things if you're going to base an anime around politics/ war. So those are my five "problems" I had with Aldnoah Zero, specifically Aldnoah Zero 2. Overall I really like the anime, and binge watched it since I enjoyed it quite a bit despite the problems that it had. There were a lot of twists and turns that I found so entertaining, the art and music was phenominal that I could but the problems aside. 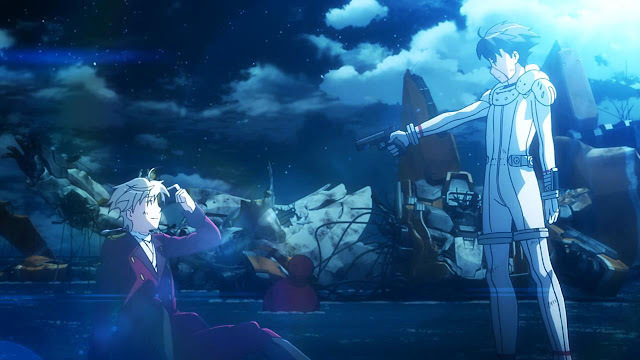 Aldnoah Zero is relatively boring in the beginning but things pick up fast at around episode 6. I'm thinking of doing more of these "5 problems with" whatever anime in the future with anime that have transparent issues since these were easy to write than a review! Tell me what you thought of my list and comment below on what you thought about the second season of Aldnoah Zero. Cheers! As a sinophone reader, I can assure you that most Chinese anime lovers also dislike the 2nd season, in particular the introduction of the second princess Lemrina and the inexplicable behavior of Slaine, not to mention Asseylum was being NTR by a guy appearing from nowhere. I have also written reviews on this anime in Chinese (http://journeytonewanime.blogspot.hk/2015/10/aldnoah-zero_13.html), but not yet available to translate into English. It seems that no matter what languages we speak, anime lovers are unanimous in judging which anime is bad. Hey thanks for reading! Yea princess Lemrina was a unusual addition and Slaine was just weird lol. Aldnoah Zero was bad but I kind of liked it. Good to know another Hong Kong blogger :) I'm from Hong Kong but I live in Canada- I'll read some stuff on your blog later today, I'll probably understand!! Nice to meet you :) it's glad to know someone from the same place with the same interest. While I agree that Aldnoah.Zero, in both it's seasons, is rife with problems on many levels - the writing and pacing being chief among them - I feel like the majority, if not all, of your points were poorly justified to the point they seemed nonsensical. I came here expecting a more nuanced opinion and while some of your thoughts are interesting they were presented in a way that makes me dismiss them outright. Ironic, when you yourself set out to talk about the "obvious" problems of the anime. Can't disagree that the writing is sparse, though they're just my opinions. They were off the cuff thoughts after I just marathon'd both seasons, and what I viewed as "problems" from the anime. The degree of writing and pacing "issues" with anime imbedded with most anime, and subjective to whoever watches. 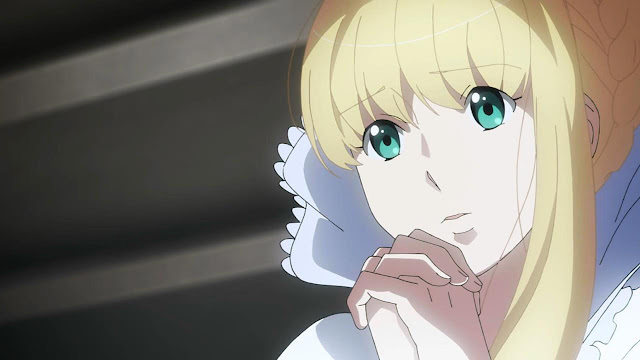 Your issues with Aldnoah Zero could be different from mines. Thanks for the feedback however, I like the honesty and your non-ambivalent response.